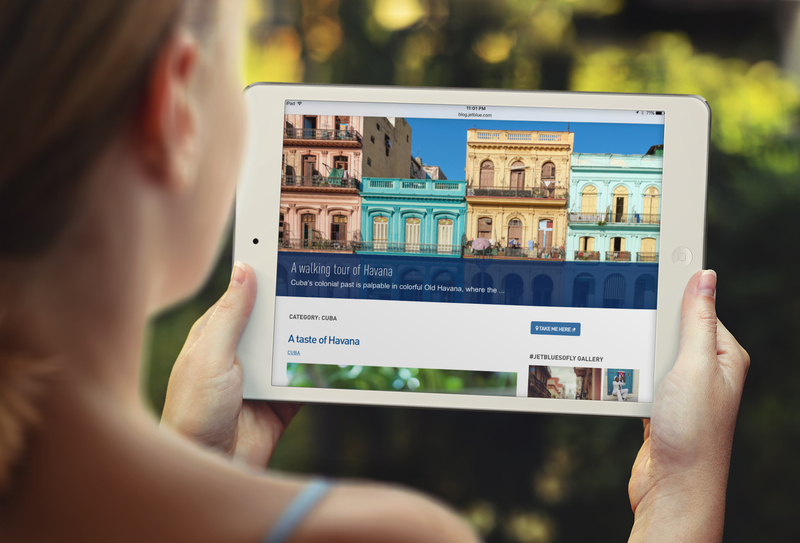 Learn how Digimix transformed JetBlue’s blog from "Just another WordPress site" to the ultimate branded content marketing platform for travel inspiration. More than 38 million people trust JetBlue’s award-winning travel experience to fly to 100 different cites each year. 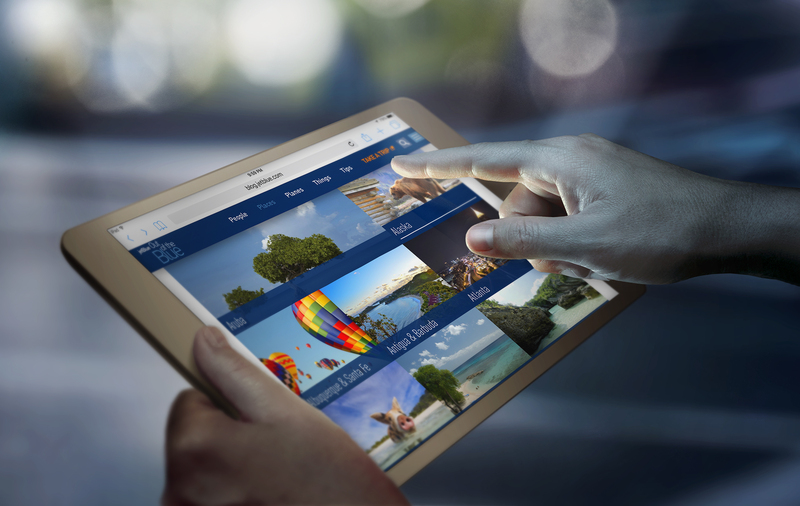 And now, with the redesign of JetBlue’s blog, savvy travelers can tap into even more of the airlines travel experience throughout their customer journey. “Our goal is to inspire travel…” said JetBlue. 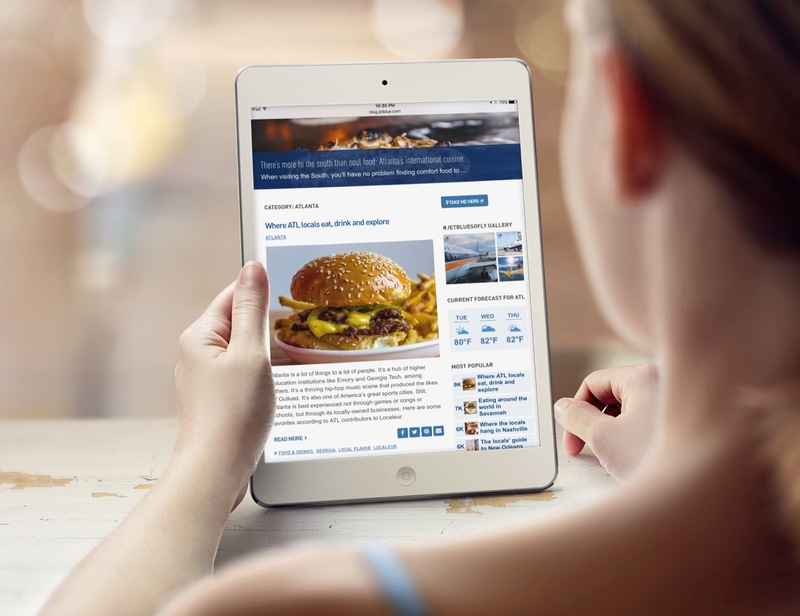 For the branded content and advertising team at JetBlue, launching a new blog was an opportunity to enhance their connection with their customers, by offering travel “infotainment” for JetBlue travel destinations. Plus, it creates a new channel to engage a fresh audience of prospective travelers earlier in the research and planning stage of the sales funnel. Informed by extensive customer feedback and quantitative research, JetBlue worked side-by-side with Digimix over several months to build an experience that makes it fun to discover destinations, plan travel, and stay up to date on the latest travel opportunities. A new feature, Places, greets users an inspiration board of places they can fly to with JetBlue. Each Place supplies a user with a curated feed of insider travel guides, trending social media, and even the weather forecast. Every part of the new design, from the playful animations to the blue sky colors, to the accessible navigation, is infused with JetBlue’s nice, fresh and smart personality. Out of the Blue has an extensive library of insider travel guides and the content hub is updated weekly with new articles from top travel editors around the United States. Local Flavor articles dish the inside scoop on the latest restaurants and bars, so anyone can hit the town like a local while they’re traveling. JetBlue thanked Digimix for working so professionally and diligently with their interactive marketing team. Following the 2016 launch of the new blog.jetblue.com, the brand saw more engagement from customers. The easy-to-use, responsive site enjoyed 50% more unique monthly visitors and exponentially more visitors on mobile. 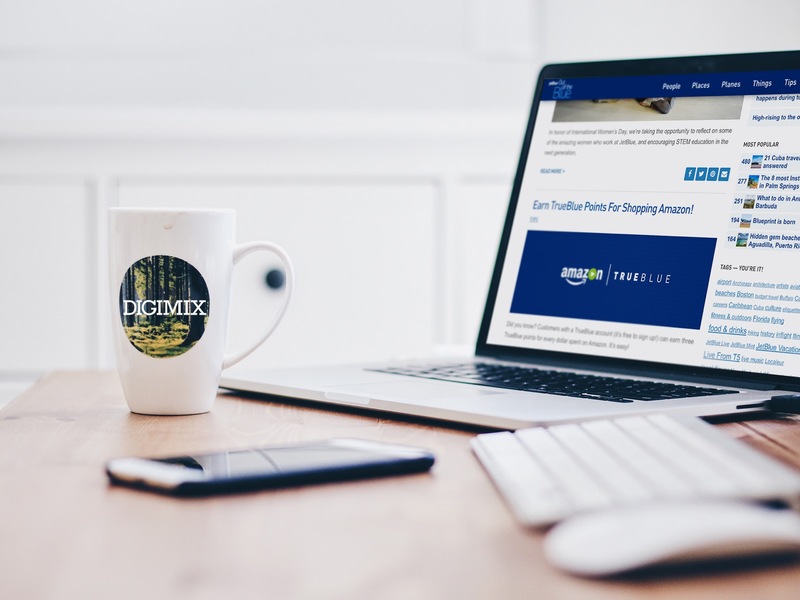 With new features already in the works, JetBlue continues to retain Digimix as a digital agency partner for the support and innovation of its content marketing initiatives.